The Carpet Museum Trust aims to interpret and display the history of Kidderminster and the surrounding area with an emphasis on the carpet industry. The Carpet Museum Trust Archives Centre holds historical records relating to the carpet industry dating from the 19th century to the present day. These records cover all aspects of the industry and range from the archives of official bodies to small collections individuals associated with the carpet manufacturing industry. The Online Catalogue contains detailed information about the archives that are available for consultation in the Archives Centre’s reading room. 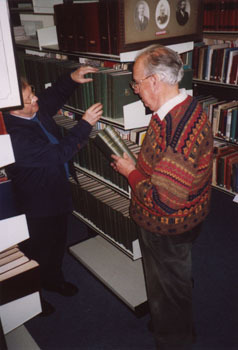 The catalogue contains a summary of each archive collection and descriptions of individual documents. It also allows you to see the catalogue for each item in the context of the whole archive of which it is part. This database is the product of the work of all of the Archives Centre’s staff. A major contribution has also been made by the work of the ‘Friends of the Carpet Museum Trust’. The archiving project has been supported by the Heritage Lottery Fund and has enabled the Carpet Museum Trust to carry out a programme of conversion of typed lists into an online catalogue.